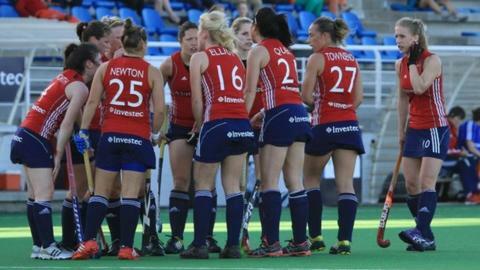 England will battle it out for a bronze medal after losing 3-0 to the Netherlands in the Investec Challenge semi-final in South Africa. The match had been goalless at half-time thanks to some solid saves from Maddie Hinch in England's goal. But a trio of penalty corners produced as many goals for the Dutch, captain Maartje Paumen scoring twice and Ellen Hoog once to end England's challenge. England face Australia, who lost to South Africa, for the bronze on Sunday. Team leader Karen Brown said: "The Netherlands were the stronger side today and showed why they are Olympic champions but we still managed to create opportunities and I thought we battled well to keep them at bay for a significant part of the game. "We lost the final two goals because we were pushing hard to find the equaliser after going the goal down." "I look forward to seeing how the girls respond in the next 24 hours. They are hungry for that first victory and it would be justly deserved after their efforts this week." England have now lost all four games they have played in the competition.